Giz Explains: What's the F is a Penryn? Penryn's sort of a buzzword lately. If you don't know what the hell that is, chances are, you're not alone: Penryn is Intel's latest generation of processors, manufactured with a 45-nanometer process that lets them cram more transistors onto the processor than ever before. They're shrunken Core 2 Duo chips of this generation, with a few extra tricks. The result is that they're smaller, faster, cooler and more energy efficient than the last generation of chips, so bet on the cram-as-many-cores-as-you-can processor race to really start heating up in 2008, with quad-core and higher becoming increasingly common. 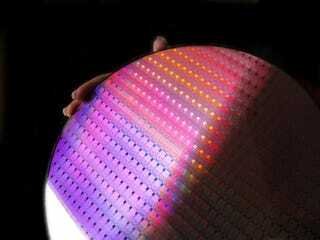 These chips also have the fourth generation of SSE instructions for faster technical and multimedia computing. You'll see Penryn chips in everything from gaming PCs to beefy servers to MacBook Pros.